Slower boat speeds reduce risks to manatees. Or do they? Not exactly, according to research conducted at Florida Atlantic University. In fact, the very laws enacted to slow down boats in manatee habitats may actually be doing more harm than good. However, an innovative alerting device is proving to deliver a better solution. About 100 manatees are killed each year by boats, making it the leading cause of death for this species. Not only are they hit frequently, they are hit repeatedly and have the scars to prove it. It is often thought that's because these gentle giants move too slowly to get out of harm's way or perhaps they are not smart enough to know better. Not true according to Edmund Gerstein, Ph.D., director of marine mammal research in FAU's Charles E. Schmidt College of Science and his wife Laura, who have spent the last 20 years researching manatees to get to the root of this problem and to dispel these myths. What they have discovered is that manatees have difficulty hearing and locating low frequency sounds like the humming of an idling engine or a slow moving boat. Shallow and murky waters further exacerbate this problem and make boats both acoustically and visually invisible to unwary manatees. 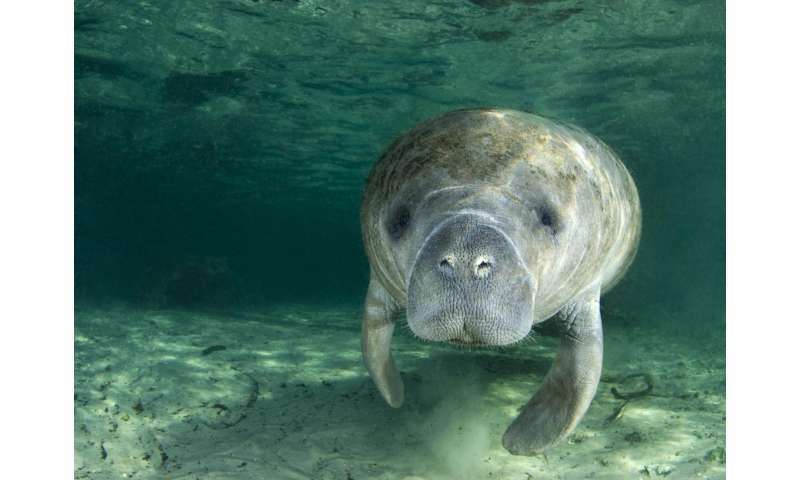 "The idea of slowing down boats to protect manatees might make us feel better, but it has direct acoustic consequences in shallow water that place manatees at greater risk of collisions," said Edmund Gerstein. "While a slow speed zone may reduce the chance of death during a collision, they have not mitigated the number of collisions that kill and may have actually increased the number of non-fatal injuries." Slowing down boats makes it more difficult for manatees to detect and locate approaching boats, while increasing the transect times or how long it takes for boats to actually pass through manatee habitats. When manatees are unable to reliably detect approaching boats, increasing time of exposure increases the risk of collisions. "The increase in multiple propeller and boat scar patterns we are seeing on surviving animals is consistent with the implementation of slow speed zones in their habitats," said Edmund Gerstein. "Today, we have living manatees that have been hit dozens of times some with as much as 50 different scar patterns from boat encounters." After years of exhaustive testing of manatees' hearing abilities, the Gersteins uncovered that these marine mammals are good at detecting and locating high-frequency noises, specifically between 16,000 and 18,000 kilohertz. Unfortunately, the dominant frequencies from a slow moving boat range from 0.05 to 0.8 kilohertz and manatees are not adapted to hear these sounds. Armed with this important information, these researchers came up with an innovative solution - the Manatee Alerting Device (MAD). This alerting device projects a low intensity, highly directional narrow band of sound directly in front of approaching boats. The selected signals exploit the manatees' best hearing and localization abilities and is only audible to manatees in the direct path of an approaching vessel. The Gersteins tested their device in the Merritt Island National Wildlife Refuge surrounding the Kennedy Space Center, in Cape Canaveral, Fla. 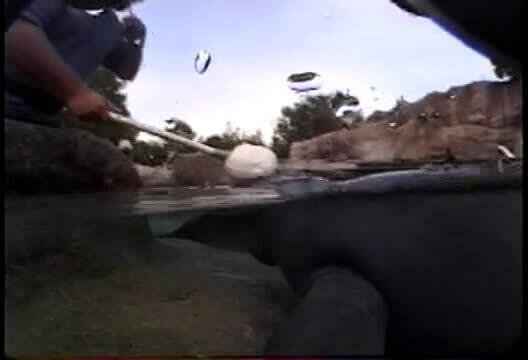 They used synchronized acoustic buoys and video cameras to measure the distance at which the manatees would flee from an approaching boat with and without their alerting device. The study was funded in part by the U.S. Department of Defense and Legacy Resource Management Program, and the results were dramatic. Without the alarm, 95 percent of the wild manatees did not change their behavior as the boat approached them. They did not respond or avoid the boat, until it came so close, it was forced to veer away to avoid hitting them. With the alarm it was the complete opposite; 95 percent of the manatees moved away from the oncoming vessel. On average, the distance the manatees fled the vessels with the alarm was about 20 meters as compared to 6 meters without the alarm. The researchers point out that it is actually in the manatees' repertoire to move away from the boats when they are loud enough above the prevailing background noise for them to reliably hear. "The Gerstein's field tests have clearly demonstrated the efficacy of the novel parametric manatee alerting device they developed," said Ata Sarajedini, Ph.D., dean of FAU's Charles E. Schmidt College of Science. "This acoustic solution is arming manatees with sensory awareness and should be an important component in the conservation of one of Florida's most beloved marine mammals as well as required equipment for boaters." About 20 years ago the Gerstein's along Dr. Joseph Blue (now deceased), director of the the U.S. Naval Research Laboratory, Undersea Reference Detachment and Naval Undersea Warfare Center, established Leviathan Legacy Inc. and patented the alerting device. The MAD should cost about $120 once it becomes commercially available. Edmund Gerstein notes they have a similar parametric acoustic device designed for the bows of large ships to reduce the risk of ship strikes and watercraft collisions with whales and other marine animals. According to the Florida Fish and Wildlife Conservation Commission, the Florida manatee is a native species found in many of Florida's waterways. First listed as a federal endangered species in 1966, the Florida manatee population has grown to over 6,000 animals today. Florida manatees were first protected through Florida State Law in 1893. Manatees are protected by the Florida Manatee Sanctuary Act (§379.2431(2), Florida Statutes) and are federally protected by both the Marine Mammal Protection Act and the Endangered Species Act.